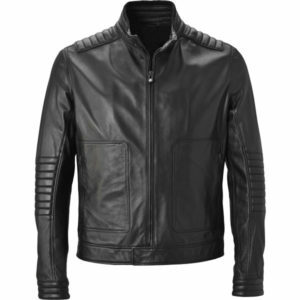 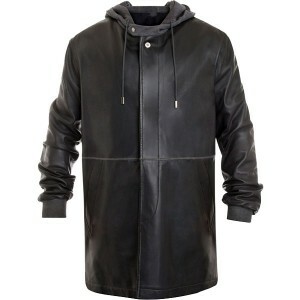 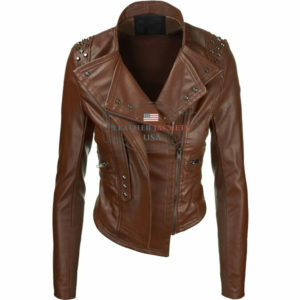 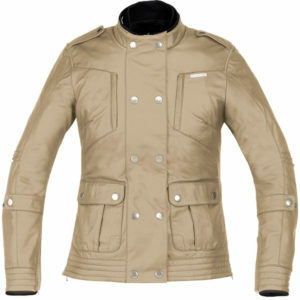 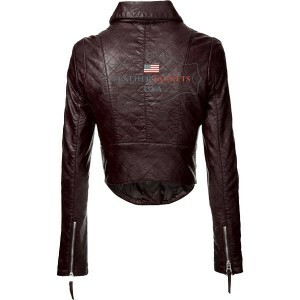 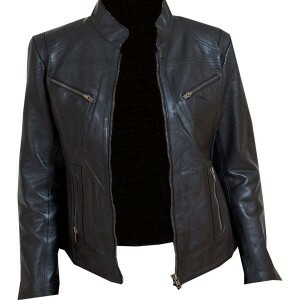 Shell of Leather jacket is 100% Polyurethane & Lining of jacket is 100% Polyester. 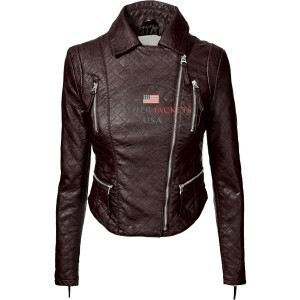 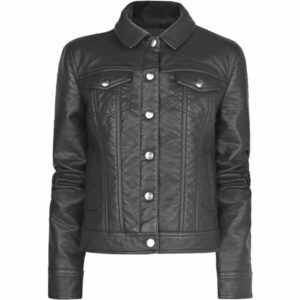 Rider Faux Leather Jacket For Women is unique hem line for style. 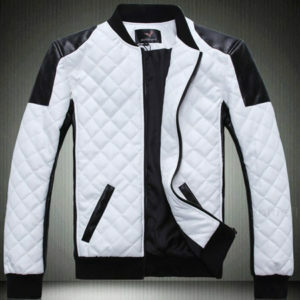 Fully stitched on front and back side. 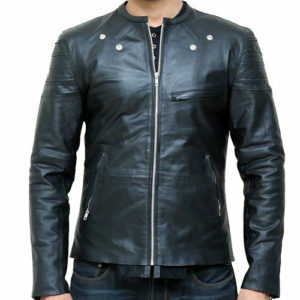 Please choose your SIZE according to our size chart available on website. 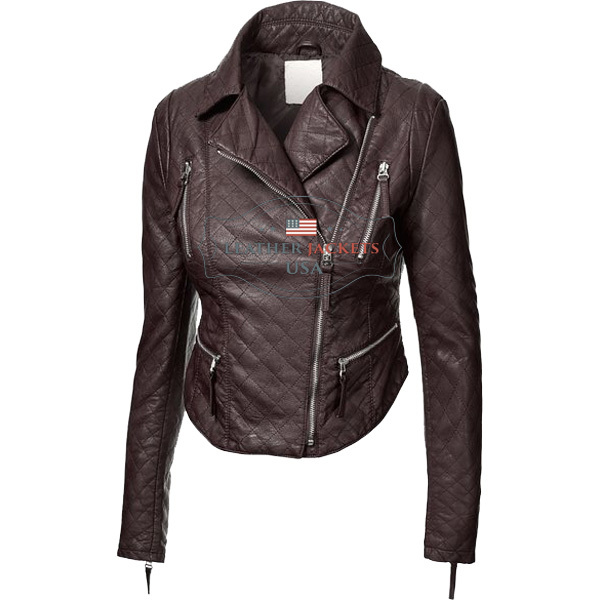 Color Disclaimer : As you know we do custom leather jackets and try our best to make jacket according to your selected color. 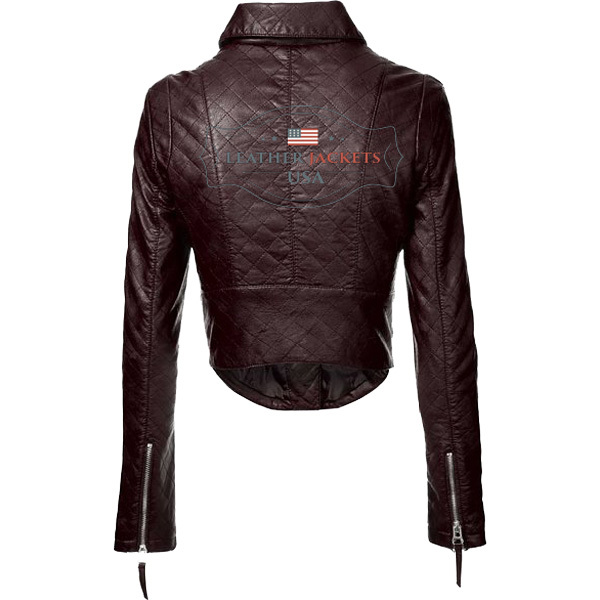 We strive to make our colors as accurate as possible. 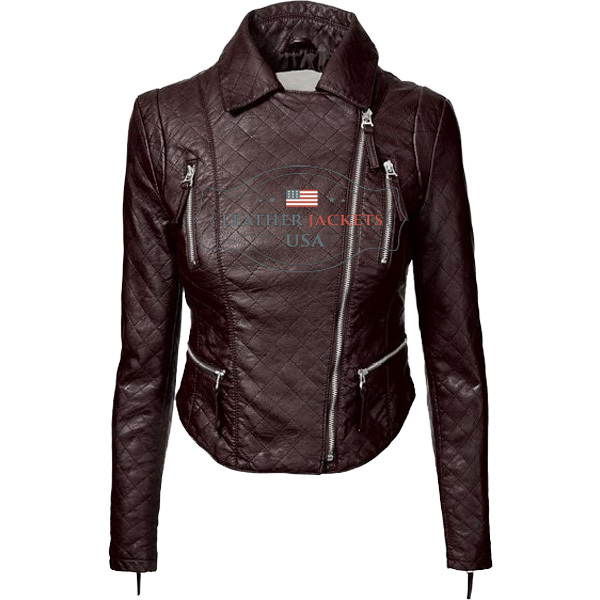 however, colors are approximations of actual colors you seen on your device screen.